After undergoing allogeneic stem cell transplantation (alloSCT), patients adapt in very different ways to their taxing situation. Some patients cope very well; others almost seem to fail. Psychosocial variables are important factors for successful reintegration. Besides quality of life, resilience may help to understand the variance in individual differences in adaptation after alloSCT. 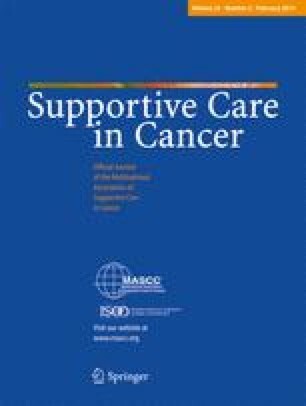 A pilot study at the University Hospital Muenster, Germany, assessed resilience in patients after alloSCT. The sample included 75 patients (leukemia, lymphoma, myeloma, aplastic anemia) aged 20–76 years. The instruments Resilience Scale RS-25, Hospital Anxiety and Depression Scale, General Self-efficacy Scale, and EORTC QLQ-C30 were used. Resilience is positively correlated with quality of life (Spearman’s rho 0.587) and social functioning (0.472), negatively with anxiety (−0.491) and depression (−0.577). Dividing the sample at the median resilience score of 144 reveals that high-resilience patients report less anxiety (p = 0.008) and depression (p < 0.001); higher physical (p = 0.041), emotional (p = 0.030), and social functioning (p = 0.003); and a better quality of life (p < 0.001) than low-resilience patients. No effects on resilience were found for age, gender, and primary disease entity. The high correlation of resilience and self-efficacy (r = 0.698) shows the strong relationship between the two concepts. Our results indicate a potential influence of the time span from alloSCT on patients’ resilience. Resilience should be considered as a protective psychosocial factor for patients after alloSCT. A high degree of resilience can help patients to adapt to their situation and to resume their everyday life. We wish to thank Annika Nilius and Susanne Schwanke for their contribution to this study with their doctoral theses. We would also like to thank the participants for the time they took to fill out the questionnaires.